Oftentimes I look at my daughters and think that life would be easier for all of us if we had such varied interests. Little Sister B is thrilled over princesses and wearing dresses and the color pink... while, at the same time, she wants to dig in the mud and crash toy trucks together. Big Sister E, on the other hand, has always been one to love all things blue, head straight for the shirt with the dinosaurs, and pick out shoes with cars on them instead of unicorns. 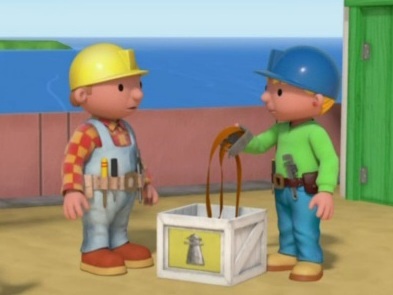 Happy to support their interests no matter what (even if I do cringe at the amount of mud and mess they make), I always know that one character that is sure to make them both smile is the hard-working Bob the Builder. He and his Can-Do Crew and their action and exciting construction adventures are always a hit, which has been proven once again with the release of Bob the Builder: Adventures By the Sea. There's no challenge too great for this hard-hat wearing, hard-working builder and his crew and, available today (May 22, 2012) on DVD, Digital Download and On Demand from Lionsgate and HIT Entertainment, Bob the Builder: Adventures by the Sea is another collection of super-sized adventures that any young fan will enjoy. 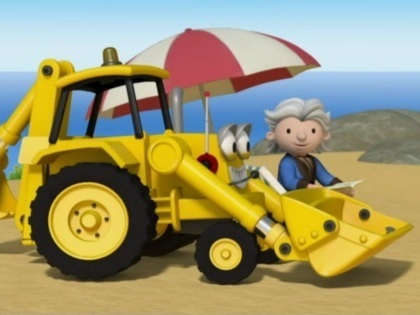 This time, Bob and his Can-Do Crew are making waves and have fun in five new, sea-themed adventures in construction that are sure to be a hit. From facing fears, correcting mistakes, doing good work and always getting the job done, Bob's the man and when you're on his team, life's a beach! 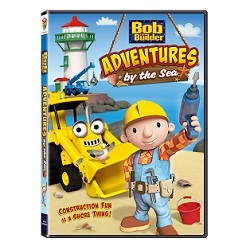 In this new DVD, Bob the Builder and his machine team "sea" lots of new ways to work together to get jobs done in and around Fixham Harbor in these five fun stories. Viewers can get caught up in the action as Bob and the crew lend helping hands, scoops, cranes, shovels and more to build lasting friendships in each of these tales of teamwork and fun! Scoop must make a creative seaside rescue to get the lighthouse lens shining again; Scratch realizes that admitting mistakes is the best way to be cool; the team comes to the rescue when Muck's sandcastle compromises their big job; Scrambler shows that the key to bravery is admitting your fears and more. Aimed at ages 2 - 5, Bob the Builder: Adventures By the Sea has a running time of 60 minutes and retails for $9.98. We always love seeing the way that these tales can demonstrate that with the super power of tools, teamwork and lots of fun, Bob, Scrambler, Scratch, Roley, Wendy and the rest of the Can-Do Crew can eagerly take on and complete any job with a positive approach. 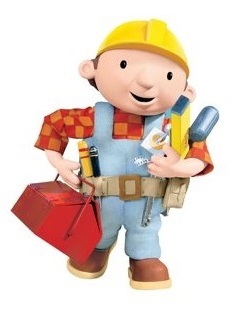 Bob the Builder and his team continually tackle every project with the power of positive thinking, problem solving, cooperation and follow-through and those are traits that I always want to promote with my children. Whenever they can have important messages such as listening to instructions, working as a team, asking for help when needed and more through these entertaining characters, I'm all for it. For any young Bob fan, this DVD is a great addition to the home library! 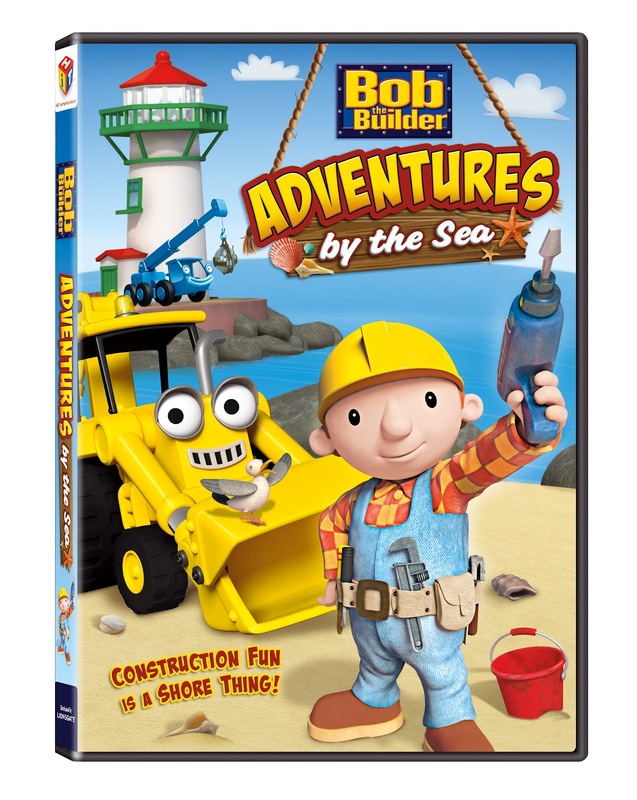 A big thank you to Lionsgate and HIT Entertainment for providing a copy of Bob the Builder: Adventures by the Sea for me to review as well as for one lucky giveaway winner. The opinions shared are my own and honest and if you really need to see more, click here to see how I roll. I love sitting on the beach, watching the ocean waves and inhaling the ocean air. I love the smell of the ocean and the sound of the waves. I love how the ocean looks like it goes on forever! I loved searching for shells when I lived on the Gulf. Laying on the beach and listening to the waves. I love the sound of the sea and walking in the sand trying to find seashells! I love sitting on the beach and the wind blowing so it doesn't feel as hot! I love dolphins I have since I was a little kid. I love the sound of the waves late at night. So relaxing. I love the smell of the ocean air, the sun beating down on me, and the feeling of being relaxed. I love the sound of the waves! So relaxing. I love the sound of the water crashing on the beach. It's always beautiful no matter the season. I like the calming sound of the ocean waves. I love the rhythmic sounds of the waves. I love standing barefoot just where the water meets the sand and just taking it all in. From there I must collect my stones. We love fishing at the lake! I love the sound of the waves. It's so peaceful to sit and watch the waves roll. I love the sound of the waves! I just love the water (floating in it) and the rhymic sound of waves coming onto the shore. The smell of fresh salt water. Well I love to swim in them myself. You ever get knocked down by a wave and held down and drug under the waves?? It happened to me when i was a kid and that was a little freaky, but i survived. LOL! I love the lake because its so relaxing! And I love to fish! I like the smell and just being able to watch the water's surface and/or waves. I like standing beside the ocean and gazing out and realizing just how small I am in the whole scheme of things. I like the sound of the ocean. I love that being near the water makes me feel like I am rejuvenated.I just feel like it washes away by problems and cleanses me. I love the sand and being able to walk barefoot. I love cooling off in the cool lake on a hot summer day!! What I love most about the sea is how beautiful it is. I like the relaxing sounds of the water. I love the sound of the sea. The smell, the natural flow ,and searching for sea glass. I love how relaxed I get being by water...it is so nice building drippy castles with the kids...the fighting stops and we can just be. We used to live in hawaii & one thing we would love doing is just going to to the beach & listening to the waves roll in & smelling the salt in the air.... so i guess you could say my favorite part is how relaxing it is! I love the soothing sound of water. Its so relaxing. I love the cool breezes being by the water. I like how the air is cooler that blows off the lake. I love the sound of the ocean. It's very calming.